New Delhi : Abhijit Panse, director of "Thackeray", based on the life of Shiv Sena founder, isn't worried about competing with Kangana Ranaut's "Manikarnika: The Queen of Jhansi" and Emraan Hashmi-starrer "Cheat India". He says if a film is good, it will work. All the three movies will hit the screens on January 25, 2019. 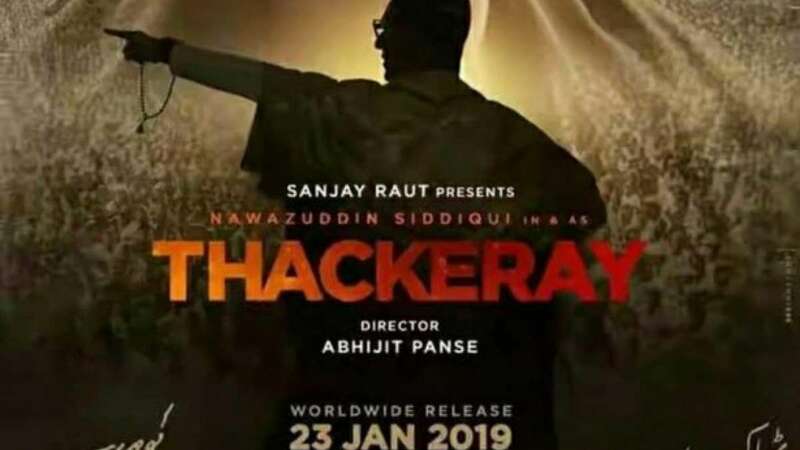 Asked if Panse would like to change the release date of "Thackeray" -- based on Bal Thackeray's life -- he told IANS in a telephonic interview: "We have already announced the date. We won't change it. We were thinking of releasing it on January 23, which is Thackeray Sir's birth anniversary date but later we thought of releasing it on 25th." But he is not open to making changes in the film. "Of course we will stick to that (what we have made). It's history. It's all on YouTube and other platforms. Everyone knows Balasaheb's speeches. He used to talk in front of lakhs of people. It's not like we have made new statements. It was his personality. So, we have to portray that," said the director. The film will focus on the political leader's "struggles and fights". He said "Shiv Sena was not built in a day. The film is about how a common man became a superman". As a filmmaker, he feels that it is important to present the story to the audience. "It is an inspiring story. The Marathi (version of the) film is tax free," he said adding that he would discuss with his team about seeking tax-free status elsewhere too.